Renowned copywriter Bill Jayme, once said that the outer envelope of a direct mailing is where the sales prospect decides to stop, look and listen—or pay attention to other matters. “It’s the come-on—the headline on the ad, the cover of the catalog, the dust jacket on the book, the display window outside the store,” the great direct marketing guru said. And, he added, the outer’s supreme job is to get the mailing package opened—period. Ray Jutkins, a trusted authority on outer envelope design, often agreed with Jayme. People tend to look first at their names and addresses. If you have not bothered to get their names and locations right, your message, loud and clear, is that the mailing is not for them. Next, they take in teaser copy. Especially, they look at the headline closest to your addressing area. Following that, they read copy elsewhere on the envelope. Third, they identify the sender. They want to know what person, product, or organization sent them the mailing. This underlines the importance of the envelope cornercard. It is the first place where the investment you have made in your reputation begins to pay off in your mailing. Then they note the type of postage used, and how it is applied. Most often, Jutkins wrote, live stamps earn the most attention. He said that metered mail, peace to Pitney Bowes, gets the least. 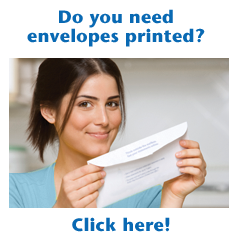 Finally, expect your recipient to turn the envelope over.